CoolJaw® T-800 Wrap features our exclusive, hands-free patented design. 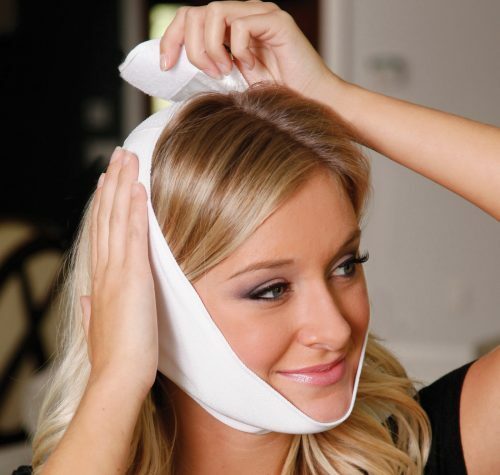 Cool Jaw Soft Stretch Wraps are made of satin spandex that is extremely soft on the skin. Wraps feature two rows of Velcro closure at the top of the head for adjustability. 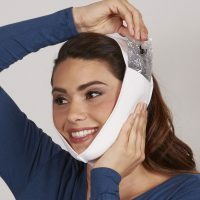 A continuos outer sleeve that extends cheekbone to cheekbone to ensure coverage over the entire surgical area. 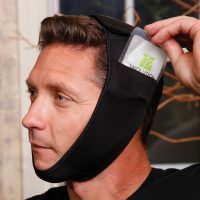 The T-800 Soft Stretch Wrap has no chin cup so that the gel packs can be moved to any position, including under the chin. 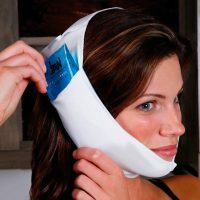 Each jaw wrap is available with your choice of 2 or 4 gel packs. Four allow patients to rotate packs between freezings. 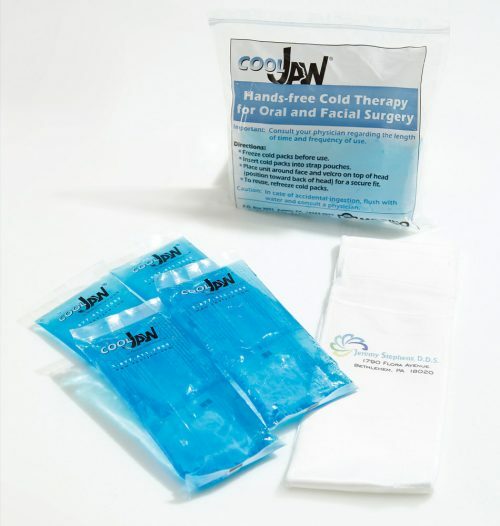 Our traditional Clear Cold Gel Packs freeze solid and remain cold for over an hour. 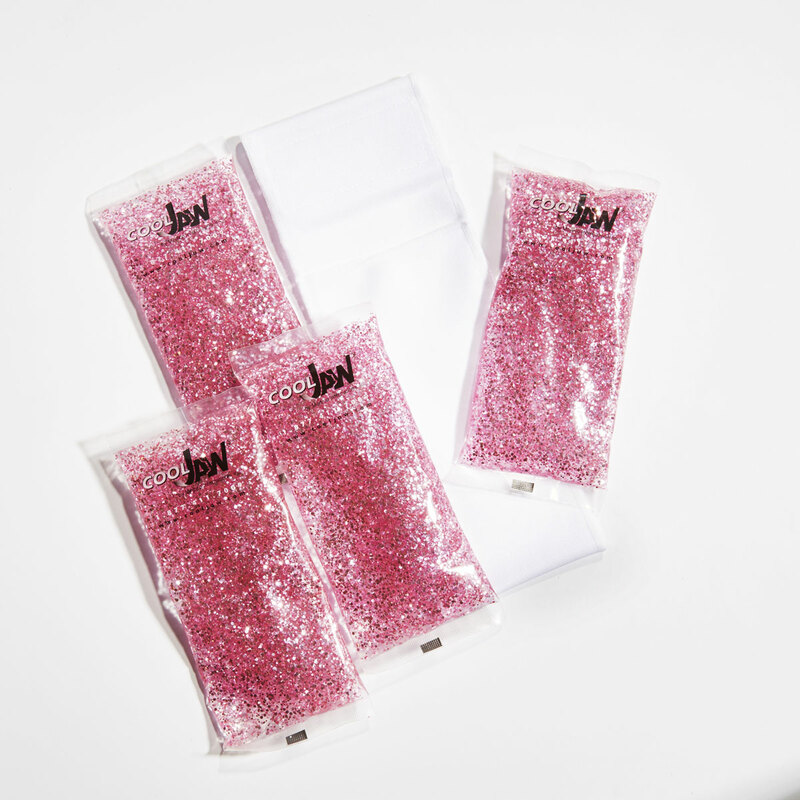 Meanwhile, our Hot / Cold Gel Packs remain pliable when frozen and can also be heated. 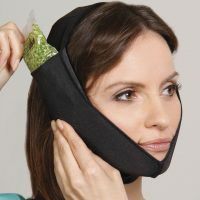 Unlike ice, all of our gel packs are reusable; our wraps are machine washable.